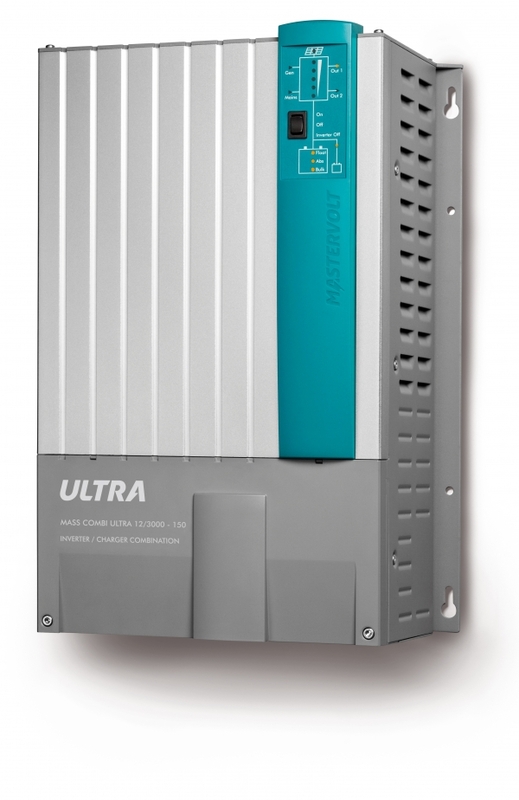 The Mass Combi Ultra series comprises several models, varying from 3000 W to 3500 W. For higher capacities up to 35 kW the Combi Ultra can be used in parallel or 3-phase configurations. 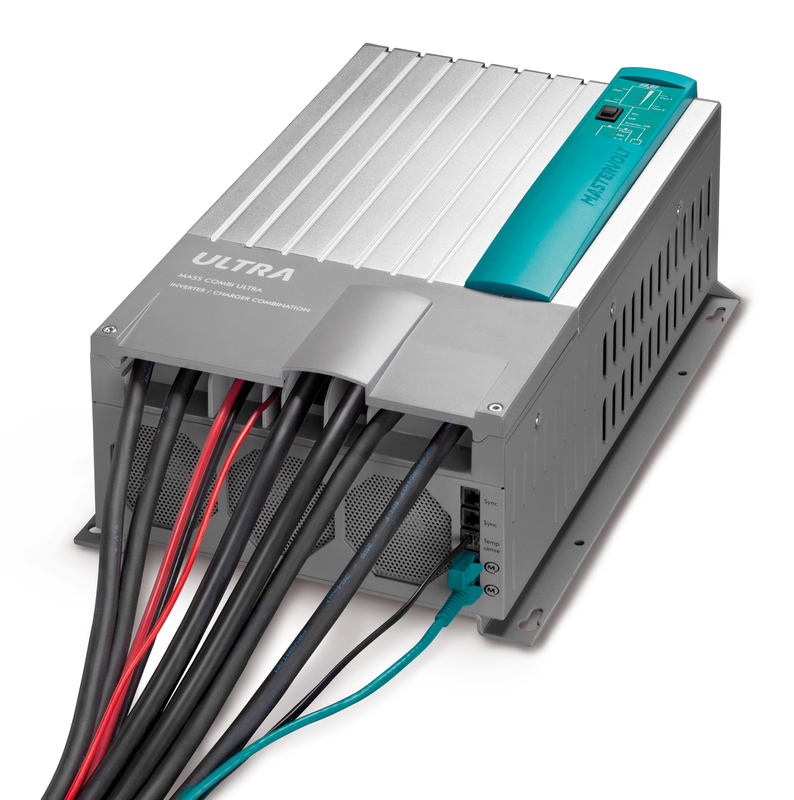 An efficient and integrated solar charge regulator helps make the most of your solar panels. The Mass Combi Ultra is equipped with the latest technologies. 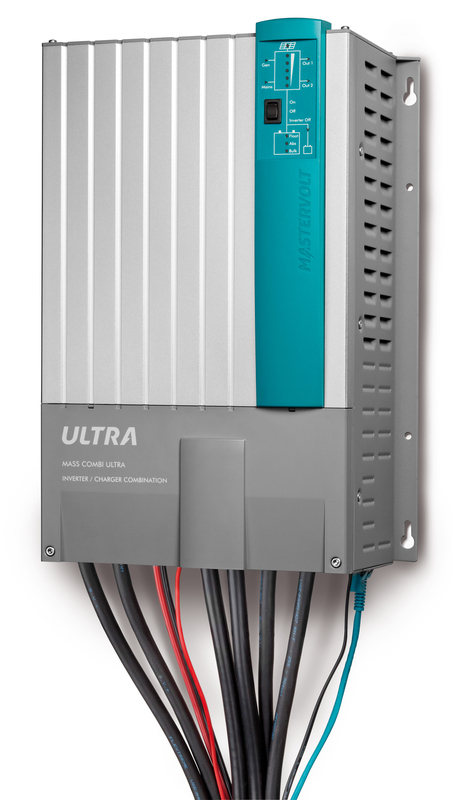 The new inverter technology ensures a uniquely low stand-by use, while an ultra-fast Digital Signal Processor guarantees seamless switching between all available energy sources. Power Assist prevents power dips and failures, even with a weak electricity connection or small generator. Moreover, all Mass Combi Ultra models are equipped with MasterBus. 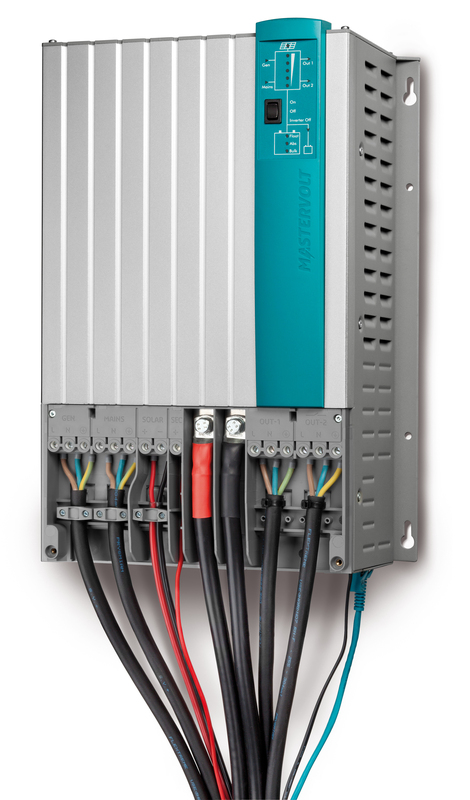 At Mastervolt we used our knowledge gained in the grid connected solar sector to make a super-efficient built-in MPPT solar charge regulator. 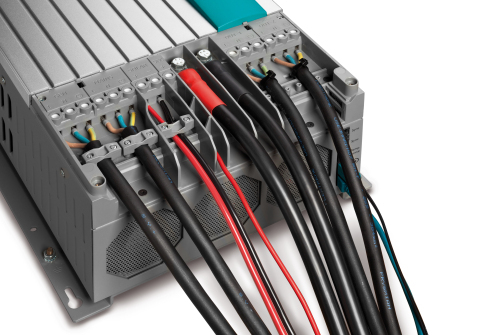 Compared to most solar charge regulators on the market, the MPPT offers up to 30 % more yield from solar panels. The solar panels power ‘hidden’ consumers and keep your batteries in optimal condition. 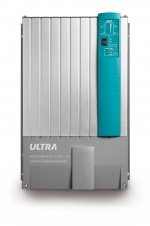 The Mass Combi Ultra can provide up to 50 % of the charging current or inverter capacity without fan cooling. This is perfect for night-time operation; if little power is consumed, the fan stops turning and goes silent. 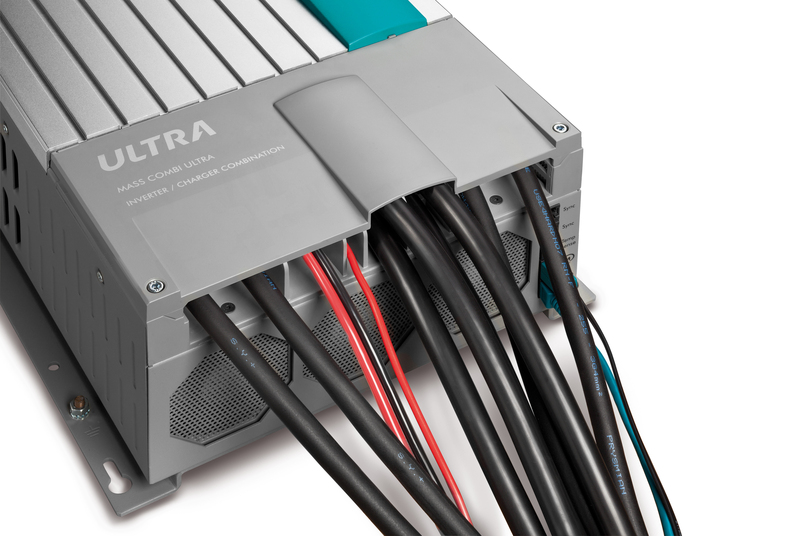 When maximum capacity is required, or the ambient temperature is very high, the Active Optima Cooling concept regulates the fan speed in a linear way, ensuring that it never spins too fast or makes any unnecessary ticking noises. 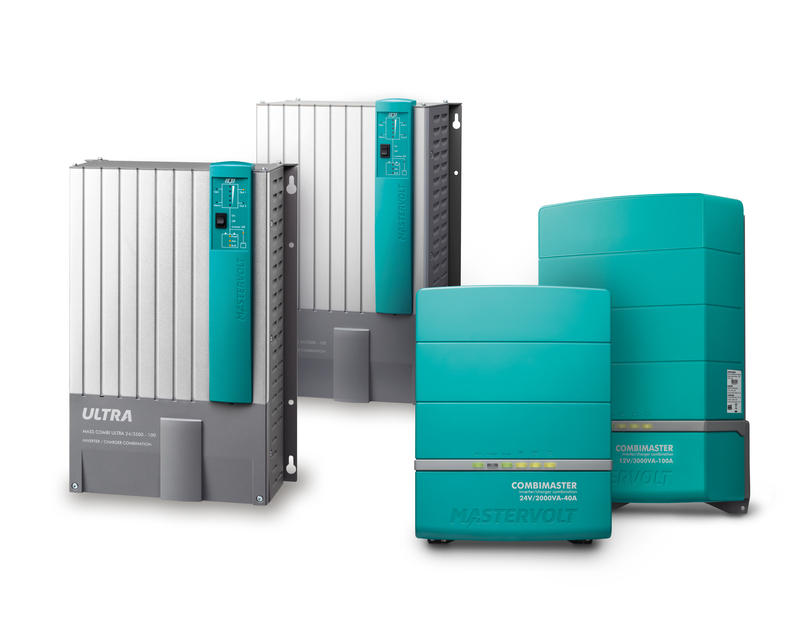 The Mass Combi Ultra functionality goes beyond stand-alone operation, the design also allows parallel and 3-phase configurations for larger applications up to 35 kW. For larger systems, an external transfer system is required. The Mass Combi Ultra has inputs for generator or mains supply, each optimized for the power source. 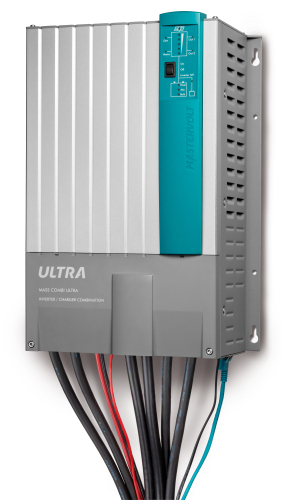 A robust intelligent transfer system switches seamlessly between AC power, generator and inverter, and ensures a constant power supply. 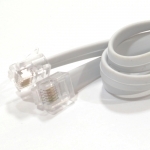 Flickering lights or failure of electronic equipment belong to the past. Separate AC outputs provide the ability to power heavy users via mains and/or generator. 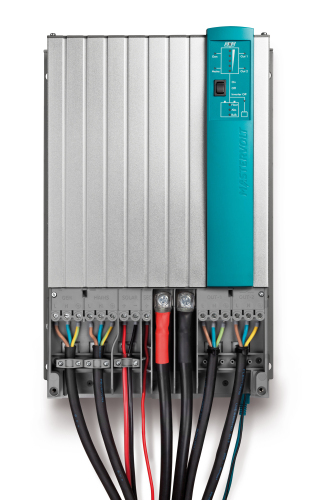 An integrated MPPT solar charge controller allows for 30 % more yield from solar power for charging the batteries. CE, ABYC and RMRS certified.